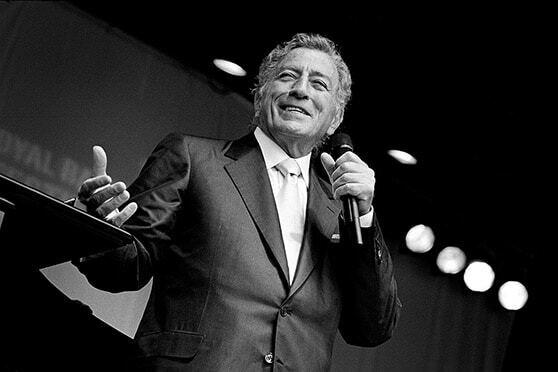 In about an hour, the latest “Town Hall” event featuring Tony Bennett will air on Siriusly Sinatra (ch. 71), giving fans a unique look into the mind of music legend. What makes this special even more intriguing is that the moderator for the Q&A session is none other than funnyman and SNL Bennett impressionist, Alec Baldwin. The mutual admiration shared by these two masters should make for an interesting dynamic – if you’ve never seen them in action together, Google is your friend. One thing to note, this Valentine’s special was recorded in front of a live studio audience yesterday so, unlike some other Town Hall events, there will be no opportunity for live call ins. “I’m thrilled to have a 'Town Hall' special airing on Valentine's Day; and I always enjoy the opportunity to spend time with Alec Baldwin," said Tony Bennett. The special will air, February 14, on channel 71, at 9 am and 4 pm ET and on Stars (Ch. 107), at 11 am ET with numerous rebroadcast times including 2/15 at 7pm ET; 2/16 at 10 pm ET and 2/17 at 12 pm ET. As always, you’ll be able to listen to and even download the show in its entirety on both the mobile app and web player.